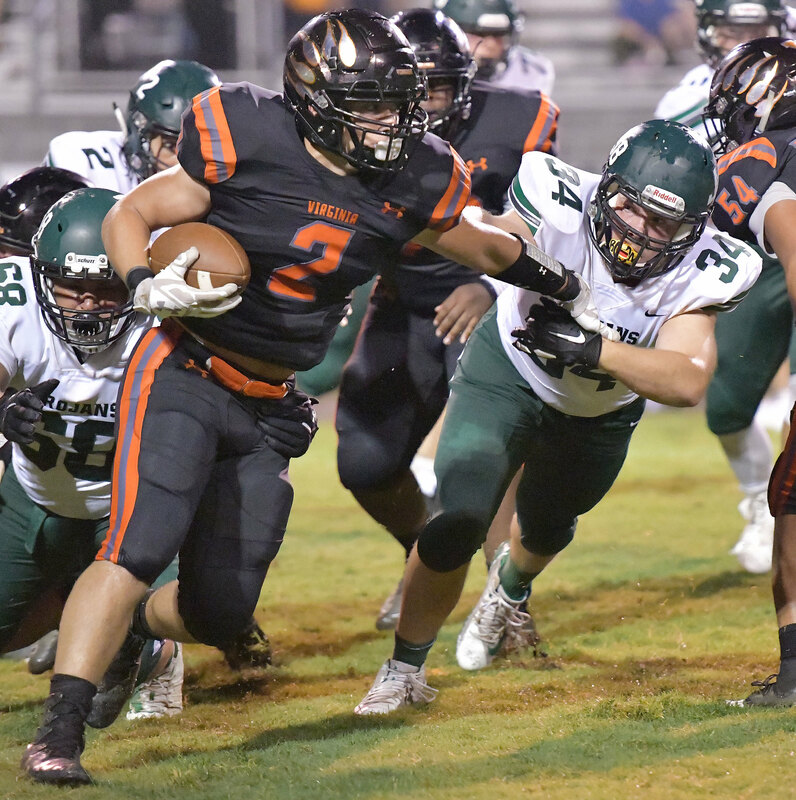 Virginia High #2 Aaron Rose runs downfield as John Battle #34 closes in to tackle on Friday night in Bristol Virginia. 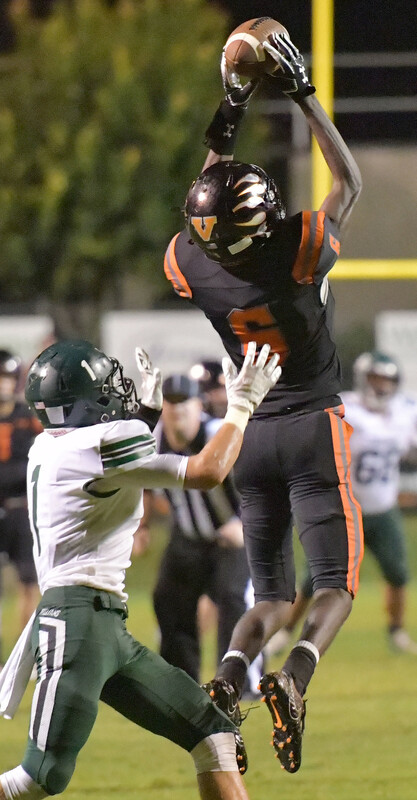 Virginia High #6 Taurean Bizzell goes up for pass against John Battle #1 Trey Childress on Friday. 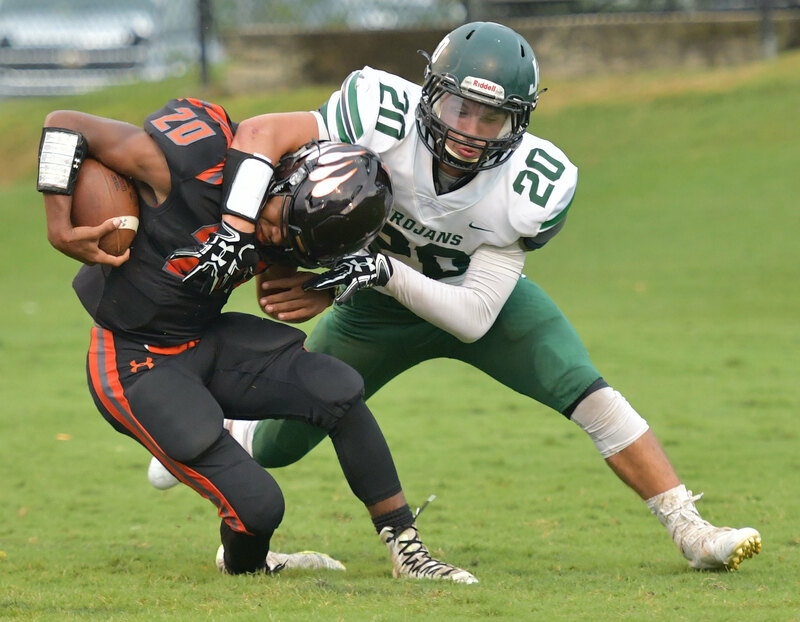 Virginia High #20 Stevie Thomas gets downed by John Battle #20 Dylan Cunningham.